Brexit is merely an early skirmish in the battle for Europe and the European Union. Further conflicts are coming. With the exception of the Clinton-Trump drama across the Atlantic, no political issue has dominated 2016 to the extent of Brexit. 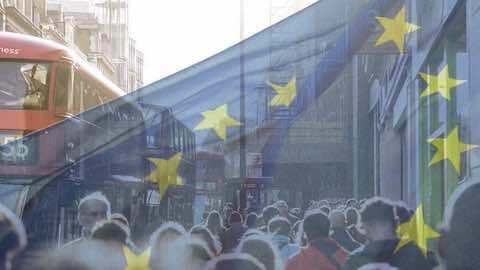 From February's announcement of a referendum date, through the campaign and plebiscite day, and finally into a long summer of anxious analysis on both sides, Great Britain's secession from the European Union has appeared to be an event which defines an epoch, separating the liberal 'long twenty-first century' from the uncertainty of the twenty-first. Yet the impact of Brexit in 2016 -- its economic, structural, and political implications in Britain and Europe -- is significantly less than its impact will be in 2017. And Brexit's impact next year will not be manifest as financial anxiety or legal wrangling, but as a far more slippery and far less tangible psychopolitical phenomenon. For all its commercial impacts and illuminations of a badly divided British political scene and an outdated neofunctionalist dogma in Brussels, Brexit's enduring legacy will be that it has set a precedent for more significant nations to question their membership. Great Britain is not the first country to have entertained notions of leaving the European project. Algeria's withdrawal from the EEC in 1962 and Greenland's departure in 1985 threatened neither the economic stability nor the territorial integrity of the community. The possible departure of sovereign European nations, rather than geographically distant overseas territories, equally did not seem to threaten Europe in the same way as Brexit. At the height of Grexit speculations in 2012, commentators questioned the extent to which Greek secession would affect the stability of the Eurozone. Such speculations ultimately fell into two mutually opposing camps -- Grexit would either fatally destabilise the Eurozone, or would be a minor irritation that would not affect the Union's stability. Notwithstanding the political and symbolic embarrassment at the cradle of European civilisation leaving, the EU could have survived without Greece. It can survive Brexit with even less concern. Despite market fluctuations since June 23rd, no structural economic problem has appeared, while the departure of a non-Eurozone country has not impacted the common currency. Indeed Brexit could have resulted in strengthening the Union, as a British withdrawal removes long -- standing obstacles to further European integration. Unlike Greece, Britain is not on the front lines of the migration crisis and equally, Britain is not a geopolitical factor in tensions between NATO and the Russian Federation. We might even be forgiven for imagining that while it will have serious consequences for the United Kingdom, Brexit will have little to no impact upon the European Union. Yet the opposite is true. The withdrawal of the most reluctant, least integrated member, has serious implications for the survival of the Union in 2017 and beyond. The EU can survive without Britain in economic, political, and structural terms. Indeed if Britain had left in 2005 or even 2010, our departure might have elicited a few sighs of relief in Brussels. But Britain voted to leave in the middle of a continental, perhaps global, disillusionment with globalisation and establishment politics. What makes Brexit significant is not any tangible economic or political shift, but its establishment of a precedent a precedent whereby disillusionment and anxiety can be channelled into blaming deep social problems on a convenient scapegoat. A scapegoat which, in a twist of bitter irony, has done more than nation-states to address the very social anxieties which now threaten its existence. Brexit should not be thought of as an isolated case in which specifically British concerns compelled a specifically British reaction. It is not an idiosyncratic response by Europe's most reluctant members. It must be understood as merely one symptom of a much broader problem. This is what makes Brexit even more significant in 2017 than in 2016 -- it has set a very clear precedent for other Eurosceptic movements to demand their own countries' secession. This was visible in the immediate aftermath in late May. And with the recent election of Donald Trump, populist politicians with the right blend of personal charisma, anti-establishment/anti-austerity vitriol, and soothingly (and suspiciously) simple policy suggestions can draw sufficient support from millions of disillusioned, anxious, post-industrial citizens to challenge a status quo symbolised by the European Union. This is the problem which governments in 2017 must tackle. And a successful strategy will depend not upon rearguard actions such as delaying tactics in the courts or demands for recounts and re-voting, as these serve only to aggravate and alienate an angry Western population whose faith in the established order is already at rock-bottom. Politicians in 2017 must adopt clear strategies to listen to their increasingly cynical electorates, and abandon any remaining plans to use legal technicalities and dry statistical analyses which simply cannot compete with the visceral power of raw emotion. There is no financial algorithm for fear. There is no judicial appeals process for resentment. Attempts to deflect or ignore public sentiment in 2017 will only benefit the most rabidly anti-establishment forces in Europe, and mainstream politicians must adopt new tactics. Brexit is merely an early skirmish in the battle for Europe. Further conflicts are coming. The Austrian presidential vote of April 2016, nulled by decision of the Supreme Court, will be held again in early December. On the same day, the Italian government faces a referendum which, if lost by the incumbent regime, will likely trigger a new financial crisis and an election which could sweep left- or right-wing eurosceptics into power. And looming in March 2017 is the spectre of French, Dutch, and German elections in which old-school establishment insiders will try and wield their dry, sober logos against the raw, visceral pathos propping up Geert Wilders, AfD, and Marine Le Pen. The European Union could have survived Grexit. It can survive Brexit. At a pinch, it can survive Quitaly or Outstria. But it cannot survive Eu revoir. This is the greatest challenge posed by Brexit, and its coming legacy beyond 2016. Dr. Russell Foster is Leverhulme Early Career Fellow in European Studies at King's College London. Prior to this he was a Marie-Curie International Fellow in European Studies at the University of Amsterdam. Russell studied History at Corpus Christi College, Cambridge; International Relations and Human Geography at Newcastle University, UK; and he was a Visting Scholar in European Studies at Virginia Tech, USA. His research interests include nationalism, identity, the EU as empire, and the history of European integration. Russell teaches BA and MA courses in European Studies at King's. His first book, Mapping European Empire, was published in 2015. He is currently writing his second book, Feeling EU-ropean? Europhilia and Euroscepticism in the Twenty-First Century. Europe: "The Coming Legacy of Brexit"